My grievance is that I have been displaced and/or bypassed by cheap foreign labor dumping, and having a great education and great work experience is no safeguard against this mass force being continuously applied against American labor. President Trump has expressed concerns about foreign steel and aluminum dumping. It’s time to focus on cheap, foreign labor dumping. If the 14th Amendmentis to have any value, prioritizing American workers for jobs should matter. But many Americans understand that Wall Street investment bankers, Silicon Valley billionaire oligarchs and media moguls like Disney’s Robert Iger don’t think that being an American citizen should matter when hiring. Rather, these elites’ only concern seems to be hiring the cheapest labor, regardless of our national interests and the well-being of their fellow American citizens. It does no good for qualified American citizens to see a job posting, but then encounter layers of “intermediaries” that actually block the hiring process. Most jobs I am contacted for are from third-party recruiters half way around the world. How can I find out about a job and get an interview with the hiring manager when the person I’m speaking to often can barely speak English? Who knows if these foreign recruiters are acting in good faith, or are just trying to eliminate the qualified American competition, so that their own preferred foreign visa workers are submitted for the job? What about the privacy of our career information on our resumes? Who knows how the actual job seeker’s information gets to the hiring manager? The current hiring process for tech jobs is broken. 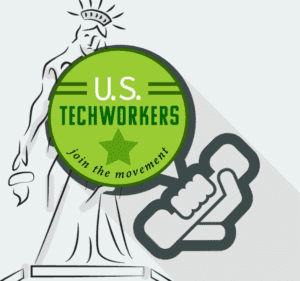 While many companies say they can’t find skilled IT workers in the U.S., these same corporations erect barriers and engage intermediaries that impede the hiring and onboarding of Americans who are qualified to perform high-level IT work. Corporate elites may make the claim that hiring cheap, foreign workers is vital to their bottom line and “innovation.” But what they think is necessary for short-term, labor flexibility is actually a detriment to the long-term strategic development and continuity of a strong, experienced, innovative strategic tech/STEM work force for our nation. My message to Congress, policy advisors and businesses who need knowledgeable and skilled technology people like myself is this: Corporate short-term ROI by using cheap, foreign labor is not in the long-term strategic interests of our nation’s science and technology acumen. Displacing or bypassing qualified Americans for technology jobs, and/or treating American citizens as disposable “units-of-labor,” will not help in developing the long-term “seed corn” of American know-how. Americans delivered victory in WWII, sent our nation’s military officers/test pilots to the moon and back safely, and won the Cold War, all thanks to the work of Americans, with limited foreign labor, mostly WWII refugees. This recent history was all before the H-1B visa program started in 1990. We now have displaced tremendous numbers of American workers with foreign workers for our nation’s tech/STEM labor force. In Silicon Valley alone, about 71 percent of tech employees are foreign born. 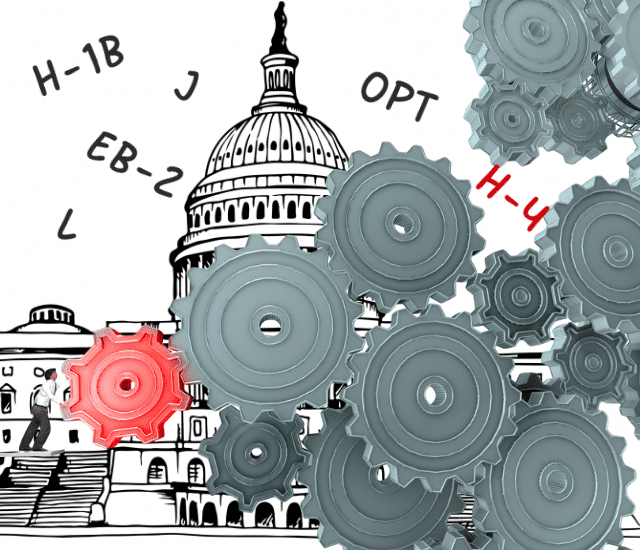 It’s time for America’s political elites and policy advisors to seriously review, and drastically curtail, our nation’s “alphabet-soup” of cheap, foreign labor dumping programs: H-1B, H-4, O, J, L, OPT, CPT, EAD, EB-2, EB-3, EB-4, EB-5, etc. We need to return to supporting and hiring our American workers.